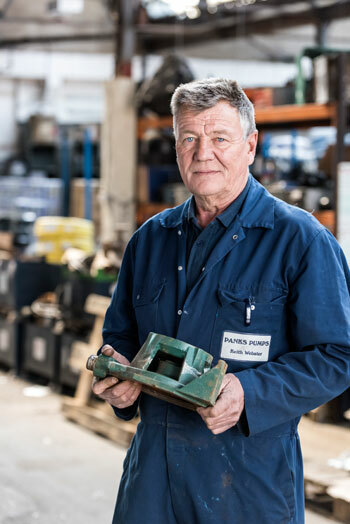 Domestic or industrial; whatever your pump does, however old it is, whether it was an original purchase from Panks or not – if it’s in need of a replacement part – just call us. We guarantee we will look at your problem part and find an exact match, or if that’s not possible, we will find the most suitable alternative, as quickly as possible. Our goal is to get your systems up and running again, but at Panks, we also promise to look for the most cost-effective and economic solution for you. If we think the cost of the part outweighs the cost of a new pump we will let you know. We keep a large range of original spares from a variety of manufacturers, including Grundfos, KSB, Flygt, ABS, Dab, Lowara, Varisco, Mono, Flowserve, Robbins & Myers, Alcon and many more. Range includes mechanical seals, seal kits, o rings, gaskets, impellers, pump casings etc. We also stock a large range of generic seals and other spares, and have access to a vast variety of other items from a large range of manufacturers. If you are unable to bring the problem pump or part into a branch, call a member of our team for a telephone diagnostics. It may be that our fault-finding consultation can save you time and energy with an easy solution identified and soon put right. 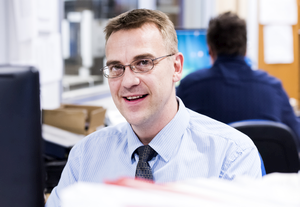 If the solution is not so simple, we can arrange for one of our engineers to visit you for an on-site investigation. Our fleet of vans are well-stocked with common standard spares and lifting equipment – so it’s likely we could get your systems up and running there and then. If not, our engineer will bring the pump into our workshop for assessment and diagnosis. Rest assured, if it makes better economic sense for you to do so, we will recommend you look at a new pump or system replacement. If you know the brand and type of pump or part you require, let us do the work. We will contact the suppliers and arrange for a like for like replacement of the manufacturer’s original part to be couriered directly to you, as soon as it is available. If, for some reason, an exact match is not possible or there is a time delay on the manufacture, we can use our extensive knowledge of the industry and our well-stocked stores to recommend another brand replacement or a generic non-branded equivalent. Again we can courier the part to your door as quickly as you require. 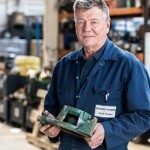 In our machine shop we can even make or adapt a replacement part. We can machine shafts and sleeves, or even adapt a part so a similar spare would fit. Always we look to find the best option for you. In addition to the manufacturer’s warranty on the part we offer a three month warranty on the repair work. We offer a range of delivery options from same day delivery to over the counter collection. Delivery charges vary. We aim to get the spare part to you as quickly as is required and can provide guaranteed delivery dates. We invoice you via email or by post, or pay in person if you come into our trade counter for collection. For more information or to speak to a member of our team call us at one of our three branches in Norwich, Ipswich or Peterborough. Send us an email and we will get back to you or drop in to see us. We look forward to talking to you.